Her married name became Colgate.2 After her marriage, Cora Smith was styled as Countess of Strafford on 6 December 1898. Her married name became Byng. From 9 December 1903, her married name became Kennard. After her marriage, Mary Radley Twist was styled as Countess of Hardwicke on 20 August 1930. From 20 August 1930, her married name became Yorke. From 5 July 1938, her married name became Jennings. Florence Angela Villiers usually went by her middle name of Angela.2 Her married name became Kerr. After her marriage, Florence Angela Villiers was styled as Baroness Teviot on 27 June 1940. [S1305] Julie Hinchingbrooke, "email: Luke Hinchingbrooke," e-mail message to Darryl Lundy, 16 March 2005. Hereinafter cited as "email: Luke Hinchingbrooke." Her married name became Campbell. After her marriage, Edith Georgiana Turnor was styled as Countess Cawdor of Castlemartin on 29 March 1898. [S6] G.E. Cokayne; with Vicary Gibbs, H.A. Doubleday, Geoffrey H. White, Duncan Warrand and Lord Howard de Walden, editors, The Complete Peerage of England, Scotland, Ireland, Great Britain and the United Kingdom, Extant, Extinct or Dormant, new ed., 13 volumes in 14 (1910-1959; reprint in 6 volumes, Gloucester, U.K.: Alan Sutton Publishing, 2000), volume III, page 124. Hereinafter cited as The Complete Peerage. Her married name became Campbell. 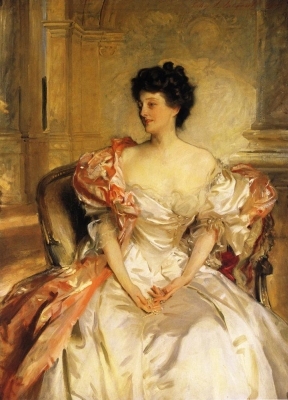 After her marriage, Joan Emily Mary Thynne was styled as Countess Cawdor of Castlemartin on 8 February 1911. [S6] G.E. Cokayne; with Vicary Gibbs, H.A. Doubleday, Geoffrey H. White, Duncan Warrand and Lord Howard de Walden, editors, The Complete Peerage of England, Scotland, Ireland, Great Britain and the United Kingdom, Extant, Extinct or Dormant, new ed., 13 volumes in 14 (1910-1959; reprint in 6 volumes, Gloucester, U.K.: Alan Sutton Publishing, 2000), volume III, page 125. Hereinafter cited as The Complete Peerage. [S6] Cokayne, and others, The Complete Peerage, volume III, page 124.